Ever wanted quick reference for IOS XR in basic security, configuration committing, RIP, OSPF, EIGRP, IS-IS, IPv6 and comparisons with classic IOS? It’s right here fore you. There is not much to learn about IOS XR from a network theory point of view. It is just another command line on a router, but as many people are getting afraid of touching this new beast, I have decided to do myself a reference point on all the basics of the IOS XR. This article is supposed to be summary of some CCNA level configurations on IOS XR. For creating and verifying this article, I have used ASR9000 that I managed to get access to via Cisco partner learning program. NOTE: This article expects you have some grasp of the original IOS configuration and this article will go through the IOS similarities and differences. I will not explain all details of network theories behind protocols or IPv4/IPv6 routing. But some basic summary will be given if you need to remember things like IS-IS. IOS vs. IOS XE vs. IOS XR ? What router is running what IOS? Suspending, Resuming, and closing a Telnet sessions. OK, I know now I have maybe killed some of you with confusion that there are actually three difference types. The point here is evolution. IOS XE is evolution of the original IOS and has nearly exactly the same syntax as original IOS. IOS XE was build to provide better high availability and rapid feature delivery utilizing the existing worldwide knowledge of the IOS Command Line Interface (CLI). In summary the IOS XE is an improved version of IOS internally, but doesn’t mean much for basic configuration. Improved high-availability – largely through support for hardware redundancy and fault containment methods such as protected memory space. Also processes are self-restartable. Package-based software distribution model – this allow for installing/removing router features like multicast/MPLS to be added while router is running and with no downtime. Also patches can be installed without outage (potentially). If you want IP management access to the router, you need to configure these interfaces with IPs from the management subnet. Either physical or virtual IPs supported. In the initial IOS XR configuration an “root-system user” username and password is created. This user is the only capable of creating other users in the IOS XR system. You can think of this one as “root” on linux. Furthermore the IOS XR has a build-in concept of users and task groups. 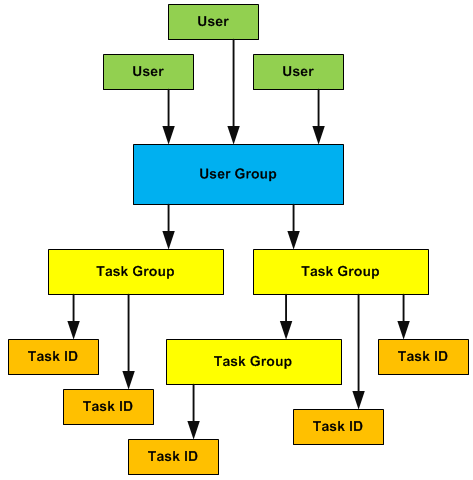 The concept of user group, task group and inheritance is important of understanding permissions. 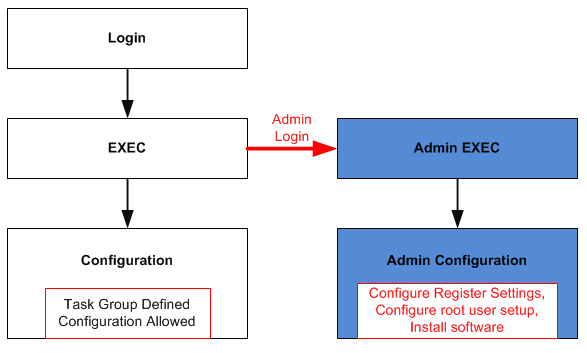 In the following diagram, I hope to give you the idea of configuration in a task group and configuration as root-system users or Admin. Based on the command line, you are able to identify where you are in the IOS XR command prompt. TIP: You do not have to always go to admin mode to get admin commands output. You can do “admin <XY>” command also in EXEC mode to get a command that is available in admin mode only. For example some command have different outputs depending where you are like “show platform“, if you want admin version of this command, you can use “admin show platform“. Lets start bluntly, there is no concept of startup-config and running-config on IOS XR. The new way to do things is via a two-step configuration method. In the first stage you make a collection of changes to the current configuration. You can check you changes for corrections in the system. Personally this is the same as many of us doing changes in a notepad or other txt editor before going to the router to apply it. This is a bit the same thing except directly supported by the IOS XR. In the second stage, you can commit the configuration to the target configuration. “Commit” is all or nothing acceptance of your changes. If even one of your prepared commands is not correct, the whole configuration changes will not be applied. You can see your configuration changes with “show config“. There are some other methods of applying the commit command to the router, as I do not want to go to details a quick look to the “commit ?” should be enough. RP/0/RSP0/CPU0:PE (config) # commit ? TIP: To erase current startup configuration you can use “commit replace” with empty configuration changes. TIP: To load or save configuration from or to a file, use the load or save commands. commit best-effort – Commit all configuration that can be committed (this will negate the “all or nothing” logic). show configuration failed – If your committed changes generate and error and revert back, you can see what went wrong in this output. Whenever a commit change is applied the configuration both old and new is maintained in the configuration history. This is great because if there are troubles, you can revert back X number of commits. Each commit is given a unique ID known as commitID to what you can rollback to. To see the configuration history on IOS XR, issue the “show configuration history as on example below. You can then rollback using the “rollback configuration” either using relative movement with “rollback configuration last 2” or to a exact commit number with “rollback configuration to 4“. The system automatically checks for feature incompatibility so if you want to revert back to a configuration that has commands not supported by current IOS XR package, you get an error and the operation will fail. Some of you might have now get the idea and realize that there is a potential for two users collisions when two users start to edit the configuration changes. To avoid configuration collisions on the configuration, you can enter configuration not with the normal “configure [terminal]” but instead with the “configure exclusive” command you entered an exclusive mode and you locked out all other users from entering any configuration at all. If someone else has entered this mode and is preventing you from doing changes, you can find out who is currently holding the exclusive session by using “show configuration lock” and show configuration sessions. NOTE: Entering configuration mode is possible while someone else is having an exclusive session, but until the exclusive lock is released nobody else can commit their changes. Please note that the IOS XR by default uses the Virtual Routing and Forwarding (VRF) and as such these basic examples apply to the default VRF in which all routing is by default. Configuration of the static routes on the ASR9000 is as follows for exact static route. This is for default route example which is the same as static route using 0.0.0.0/0 as destination. As with any routing, you can have a look if your routes are working by looking at the routing table with show route. In the following example we start the basic RIPv2 (IPv4) on two interfaces of IOS XR router and IOS router configured with the well known RIPv2 configuration. The following picture shows the topology I will be using and the IOS router neighbor RIPv2 configuration. The following configuration can be applied to the ASR9000 router to enable RIPv2 on the two interfaces and start receiving and announcing routes. NOTE: On IOS XR the RIP “version 2” is enabled by default. Verification of RIP working on IOS XR is simple and we just will look if we are getting the 10.1.10.0/24 network from the IOS Router neighbor. Also on the other side you can verify that the IOS Router is getting the 10.1.1.0/24 route from the IOS XR Router. To see the RIPv2 basic configuration including timers, you can enter the show rip command. The whole topology and configuration should look like this. On the Cisco IOS XR router you need to manually enable adjactancy neighbour logs in console to see the neighbor IOS router comming up in EIGRP, to do this you can use the following configuration using the “log-neighbor-changes”. commands display the current EIGRP entries in the routing table. Older IOS routers had auto-summarization enabled by default (before 12.2(33)). New IOS version have it disabled by default. This is also disabled by default on all IOS XR. To enable auto-summarization, you can go under the address-family and issue “auto-summary” command. Verification if auto-summary is enabled or disabled can be gained from the show protocols eigrp. Example below. EIGRP is a modular protocol that can support multiple different routed protocols including IPv6. Configuration is straight forward, these commands will be done on our IOS XR to configure EIGRP to support IPv6. Final configuration including the IOS neighbor can be seen on the picture below. As we all know from our CCNA courses, EIGRP does equal cost load-balancing along by default 4 paths that are valid. NOTE: Variance is a value from 1 to 128 (default is 1) that is a multiplier of the best path metric to select unequal paths. To select another route with worse metric as a unequal load-balance candidate, its feasible metric have to be lower than the best route multiplied with the variance. Also in addition, the Feasibility condition have to be met (the Advertized Distance of the route candidate have to be lower than the current best route Feasible Distance). For example we have a primary route with FD = 500 and AD = 300. And we have two other routes to the same destination. Route 1 with FD = 600 and AD = 400 and Route 2 with FD = 550 and AD = 520. We change multiplier variance to 2. So the candidates for unequal load-balancing have to have cost less than FD=500*2 = 1000. Both Route 1 and Route 2 are valid in this perspective. However, only Route 1 is selected as it also is valid for the feasibility condition. Route 2 is invalid for load-balancing because Route 2 AD = 520 is higher than best route FD = 500. This protects from loops in the load-balancing. NOTE: Because Cisco IOS XR supports only MD5 authentication, there is no need to define authentication mode. First of all I would like to point to excellent Cisco OSPF on IOS XR documentation that can be found here. So for anything you do not find here, go to that link. 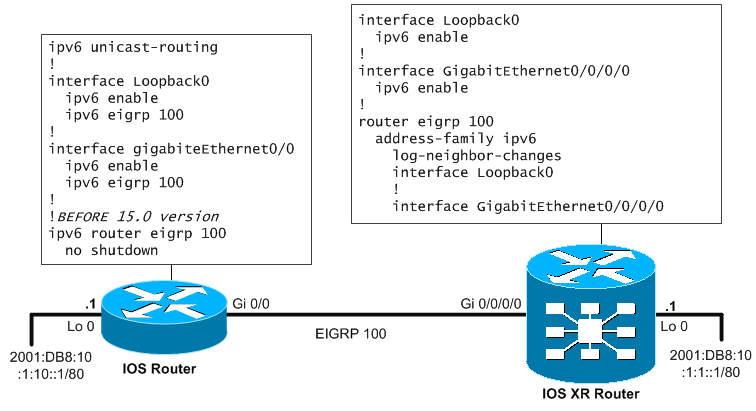 As this article is not intended to explain everything in regards to OSPF, but some super quick IOS XR logic with OSPF will be presented and will be followed immediately with IPv4 OSPF example configuration for IOS XR and IPv6 OSPF example. First, on IOS XR, both OSPFv2 (IPv4) and OSPFv3 (IPv6) are implemented. OSPFv2 uses 224.0.0.5 for multicast hello packets and OSPFv3 uses FF02::5 for hello packets. Both versions use 32bit router ID (on cisco represented in IPv4 format for better readability – also in IPv6 environment). NOTE: In IPv6 environment you have to manually enter “router ID as x.x.x.x” to have router ID created if no IPv4 interfaces exist on the router. Explanation, is that on IOS router with IPv4, you go the usual way by defining the networks and area with the “network” command. This command specifies both networks and interfaces to be used by the ospf process. On IOS XR, the configuration is used in a more “topological” way. On IOS XR, you define directly the interfaces that should work with OSPFv2. NOTE: On IOS XR, the neighbors states are not logged as you are maybe used to on IOS, to activate this use the “log adjacency changes detail enable” command. Again explanation is that on IOS, the IPv6 routing protocols are configured directly under interfaces (with common configuration under “ipv6 router ospf 1”. Please note that if you have completely IPv6 environment, ergo no interface has IPv4 address, then you need to manually configure the router-id. On IOS XR, this is nice that the configuration is extremely identical except that you must use the “ospfv3” keyword. You can do “show protocols” on IOS XR as an alternative for IOS “show ip protocols“. If you want to check if your OSPF have found any neighbors already, have a look to “show ospf neighbors” for IPv4 OSPFv2 or “show ospfv3 neighbors” for IPv6 OSPFv3 neighbors. The same logic applies to verification of routing tables, you can use “show route” for IPv4 routing and “show route ipv6” for IPv6 routing. There is a big difference between OSPFv2 (IPv4) version and OSPFv3 (IPv6) version by nature. OSPFv2 uses plaintext or MD5 has that is internally calculated and added for every OSPF packet and checked internally in OSPF process. On IOS XR, the OSPFv2 security can be configured in different places. It can be configured under routing process, under area configuration or under interface. The lowest configuration is used in the hierarchy process->area->interface. If lower configuration doesn’t exist, it inherits configuration from above. On IOS, the configuration of OSPFv2 was done either in area or interface configuration and the same hierarchy logic applied, however the key could only be configured under interface. OSPFv3 relies on IPv6 native security via IP Security (IPSec). For this you need the key, but also something called SPI (Security Parameter Index). SPI is something like a port number for IPSec packets because in IPSec, the AH or ESP header goes directly behind IPv6 header and TCP/UDP ports are not known. When you specify SPI you are telling your router what SPI packets to check for OSPF, otherwise it would have to check all IPSec packets he gets. On IOS XR the OSPFv3 authentication and encryption can be configured at the same levels as OSPFv2. On IOS the authentication of OSPFv3 can be only configured under area configuration. Intermediate System to Intermediate Systems (IS-IS) is a great protocol, my favorite actually. In summary to its theory, it is a link-state protocol (like OSPF) and it uses dijkstra for path calculation. What is interesting about it is that in runs over a stand-alone routed protocol with its own addressing called Connectionless Network Service (CLNS). So you will not see packets of this protocol use any form of IPv4/IPv6. It has its own.This makes this protocols easily extendable and now supports both IPv4 and IPv6 easily. Also from architecture point of view, it also uses two layers called Level 1 and Level 2. Level 2 is something like a distributed backbone and Layer 1 is like an area in OSPF, it hosts all other non-core subnets. This concept then also moves to routers position withing the hierarchy, unlike OSPF where borders where place on routers (one interface in area x and another in area y), in IS-IS the borders are on links. 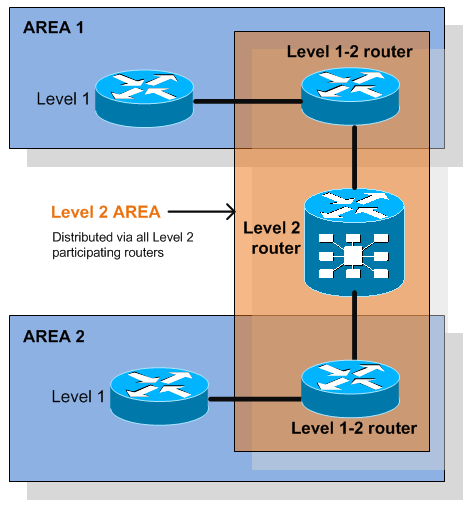 Level 1-2 routers that have paths both interarea and intraarea. NOTE: As boundaries are on links, each IS-IS router belongs to exactly one area. There is absolutely no metric calculation for a link in IS-IS, every link is by default of metric “10”. If you want something else, you will configure it manually. This is actually very good for most ISP networks. By default the metric is 6bit value for interface metric and 10bit value for complete path metric (called narrow-style). Optionally you can switch to 24bit interface metric and 32bit path metric called (wide-style). Following the topology used in all examples, here is both IOS XR and IOS configuration for a very limited IS-IS functionality. 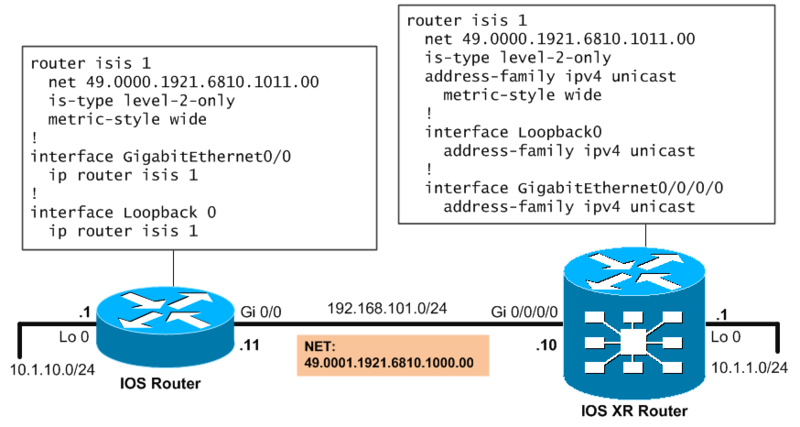 On IOS XR, the same configuration is shown, the only different is that on IOS XR, the concept of address-families was added, you will see the benefits when we move to IPv6 for this. IS-IS supports both plaintext and md5 authentication, as usual plaintext is to be avoided at all times. What is interesting is that in IS-IS, you can configure authentication of Hello packets separately toLSP packets. Configuration example of IOS XR IS-IS authentication looks much more simle as the interface level configurations were aggregated under the isis process. This section is the most boring as we do not go to much details, simply put these well known IOS commands still work as expected, but do not forget to use commit. Purpose Keypair. Choosing a key modulus greater than 512 may take a few minutes. Task IDs – Permission to perform a given task. This is grouped into a task group and assigned to a group of users. Lets start with what is predefined already in the IOS XR system. In a freshly booted IOS XR, these user groups already exist with predefined task groups assigned. root-system – Displays and execute all commands for all RSPs in the system. root-lr – Displays and execute all commands with a simple RSP. sysadmin – Perform system administration tasks for the router, as maintaining core dumps and setting system core protocols as NTP. operator – Can perform monitoring activities to the system (cannot modify config, cannot do extensive debugging). 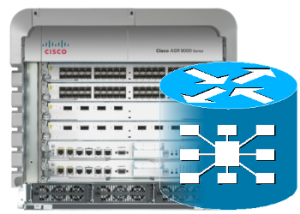 cisco-support – Can deby and troubleshoot features (usually needed by Cisco TAC people). You can add your new user to one of the existing groups, or create a specific group all youself. In the next example this will configure task group, user group and assign new user to a new user group to have modification powers over OSPF, ISIS and BGP. On IOS XR, you can also periodically store logs from logbuffer to files on flash: or harddrives: with feature called local archive. The example below creates weakly file storage for logs on harddrive. SNMPv3 is more complex as it incorporates usernames, groups ans TreeView limits. So I will omit this now for space conservation. IOS XR config guide on cisco.com has much more detail if you are interested in having secure SNMPv3. Again the usual as on IOS devices. If you are telneting from IOS XR to a remote destination and you want to return back to the IOS XR source box without terminating you telnet session, you can pres Ctrl+Shift+6 (or Ctrl+^) followed by “x“. To resume a suspended session you can use “resume <number>” command. To cancel a connection in the background you can use “disconnect <number>“. To find out what is the number of all currently running/suspended sessions, you can issue show sessions. Well, I hope you liked this article, I definitely had a great time remembering all these things and learning a few about IOS XR. I tried to make this article as best structured as possible as it will be serving as a reference for me to search in from time to time. Next in the line is the mighty MPLS, BGP and some more features that needs to be mentioned for IOS XR, but for the extensive coverage of MPLS and BGP, I will leave that to separate another article as MPLS and BGP are big in scale. PART 2/2 of this IOS XR Getting Started Examples Guide available here. Very useful and well planned document. Covers all the basic configurations. must for someone who is new to XR. Thanks for your initiative and post this on your blog! it has been helpful for my CCNA SP Study! Good stuff. Definitely bookmarked this page as reference. Very excellent article and an obvious huge effort exerted. Thank you very much for this precious help. Thank you for your successful effort in producing this concise, well documented work that simply displays the comparison of these operating systems. Your time and attention to detail is very much appreciated, excellent job! Honestly when I read your comment, at first I wanted to defend the RIPng on IOS XR, but then I noticed that the configuration of RIPng was identical to the IOS one on the topology picture above it. Because it is now more than one year since I created this article and because I failed to find in cisco documentation this. I have decided that the best approach would be to remove this portion from article to maintain a professional approach here. I personally think I did a copy&paste error of IOS XE config, so it will be better to remove this part altogether until I will have again access to IOS XR in a lab. How are you for new years, Hope you good so now I’ve some issue to solve about L2VPN (IOS-XR CRS1) monitoring problems. I am facing a big problem through my core network, i need to monitor our L2VPN with customer . now we are monitoring with show L2VPN Xconnect command, but customer need to know more they ask me for IP-SLA, EEM but i don’t have ideas for both options. so if any one has a recommendation or ideas to help. Excellent document. very well written! Thanks !